Is Online Dating More Common Among Divorced People? 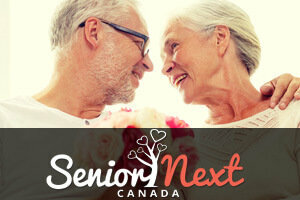 Top Dating Sites Canada > Is Online Dating More Common Among Divorced People? When online dating first appeared in our lives, it was just another way of dividing people amongst themselves, although it claimed to connect them. Well, when online dating sites and apps hit the world by storm, the majority of people who made accounts on them were singles – some searched for commitment while others were looking for random hook-ups. But the situation has changed to a great extent. We now have specifically targeted dating sites and apps for various kinds of people. From cowboys to Christians, young singles to lonely seniors – everyone has a chance at true love and happiness. However, recent demographic studies have shown another slight change in online dating pool’s current. Divorced people are becoming one of the most targeted groups on online dating platforms, as they mostly turn to this type of “love search” after the finalization of their respective marriages. There are a couple of reasons behind this game changer. The transfer from being married to being single is quite hard, and someone that didn’t feel the experience on their own skin can’t understand. Simply, marriage (in most cases) happens between two people who think that they’ve found their ideal mate – someone they can start a family with, build and share a new life, and eventually reach old age as a unit. Marriage is for life, as it’s commonly said. But when a marriage ends, divorcees find themselves alone again, without their life partner, forced with the chance of growing old alone. When they’ve reached a point where they should “get back into the game” again, divorced people don’t know how to start because they thought they were done with that portion of their lives. And that’s where online dating comes in. Online Dating Sites To The Rescue! Online dating services are an easy, slick way of getting into the dating scene once again, without the pressure, confusion, and overall cluelessness. People can check out interesting people, converse with them, and eventually meet the right person just with a couple of mouse clicks. They can easily find people of similar interests, people who also went through divorces, and generally anyone who might seem as they would understand their situation. Dating sites and apps are generally not intrusive, and divorcees can share as much or as few information as they want to, which works for them perfectly as divorced people tend to feel pretty vulnerable after losing the love of their life. Finding love has never been as easy as it is now, so this demographic group is definitely taking full advantage of that. And for a good reason, too!